← Spicy Pecan and Cheese Ball with Pepper Jelly Recipe. It’s Terrific! Cash flow and seller’s discretionary earnings defined. What is a company’s discretionary cash flow, also sometimes referred to as seller’s discretionary earnings? It is NOT the profit or loss that you show Uncle Sam on your tax return. To put it delicately, almost all business owners run some expenses through the business that are not — a’hem – absolutely necessary to the operation of the business. Discretionary cash flow is the total cash that the business generates in a year that is available to the owner after deductions for only the necessary operating expenses. Another way to define discretionary cash flow is that it is the “total owner’s benefit” derived from owning the business, regardless of how the owner takes the money out of the business. More formally, it is the amount of cash left over after paying only the necessary operating expenses that is available for (1) owner’s remuneration, including “benefits,” (2) return on investment and (3) debt service, if any. To illustrate, let me tell you about the sale of a restaurant that I handled as a business broker several years ago. The profit and loss statement from the business was actually showing a small loss. However, the owner’s wife drove a Lincoln Navigator which was listed on the books of the business as a company vehicle. The company also paid for all her gas and maintenance on the Navigator although she had no role in the operation of the restaurant. Same for the daughter’s Honda which she drove back and forth to college. The daughter was also on the payroll as an employee of the restaurant which furnished her with spending money at college, although she never actually worked at the restaurant. The family’s ski vacation to Colorado was charged to the business because the owner attended a business meeting for a few hours while in Aspen. You see where I’m heading here, don’t you? By the time all these items plus any non-cash expenses (eg: depreciation) were accounted for, the restaurant was actually producing a nice yearly cash flow for the family. DISCLAIMER: Hey, I’m not with the IRS and don’t render an opinion on these sort of things! In addition to the owner perks discussed above, non cash deductions like depreciation are added back to the net profit shown Uncle Sam, as are one time expenses not likely to recur (eg: an air conditioning unit being replaced). CPAs and business brokers often refer to the computation of discretionary cash flow as normalizing or recasting the company’s profit and loss statement. Why is the computation of discretionary cash flow important? It provides an accurate picture of the true cash producing ability of the business. In effect, it uncamoflages the bookkeeping practices of most business owners. And since many business appraisals are done based on the company’s discretionary cash flow, it’s important to be able to accurately compute the number. If I can help with any questions or computations on this subject, don’t hesitate to contact me. He currently serves as president of the American Business Brokers Association. His article on how to analyze a business that you may be interested in buying can be read by clicking here. He may be reached at (251) 990-5934 or by email at Will@WilliamBruce.org. This entry was posted in Business Valuation & Appraisal, Buying or Selling a Business and tagged Business valuation appraisal, cash flow, discretionary cash flow, how to compute discretionary cash flow, recast, recasting, seller's discretionary earnings, Small business, William Bruce Business Broker. Bookmark the permalink. 21 Responses to What is a Business Owner’s Discretionery Cash Flow or Seller’s Discretionary Earnings? That was interesting. It was something I knew at some level but never put it together as a complete thought. Mr. Benton, thanks for dropping by. Hope all is well with you. Do the business owners have to pay taxes based on the cash flow amount. 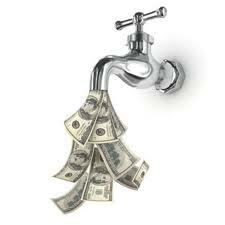 Example: if you have $100.000 cash flow. Do you have to pay a certain percentage for taxes? Yama, no, the business owner pays taxes on “net income” as defined by the taxing authorities. In the U.S. the taxing authorities, (I.R.S. and state jourisdictions) allow non cash deductions (eg: depreciation and amortization) to be deducted before net income is calculated. Also, they may allow some expenses which are not considered to be absolutely necessary to the operation of the business. William, thank you for the replay. By the way awesome article, you managed to explain the Cash Flow in plain English with specific everyday examples for small businesses. most of the texts on internet show highly complicated examples of multi-billion dollar corporations but I was more looking for small business examples of like a pizzeria or convenience store as I am planning to buy one. Thanks for explaining in a plain English the definition. I own a restaurant over 10 years. It is about time to sell it. What about my own payroll? I worked over 50 hours a week or say $48000 salary. So is this amount accounted for discretionary cash flow. Thank you. Benny, in the computation of seller’s discretionary earnings (cash flow), the owner’s W-2 salary is an adjustment (an add-back). Other usual add-backs are depreciation, interest and owner benefits/perks that will disappear for a new owner. Hope this helps. Similar to this question, many franchises offer the option to run a location yourself or hire a manager so you can be absent. Would the SDE be computed including or excluding the optional manager’s salary? Like the question above would the buyer assume he needs to hire a manager at $48k/yr and deduct the amount from SDE? How might that be affected for multiple locations if the owner managers one location? Thanks in advance. David, most recastings of the P&Ls for small businesses are done for an onsite owner-operator. If you know you are not going to be working in this capacity in the business, you would need to take the market value of a general manager’s salary out of the cash flow.